With the rising trend of a work-from-home mentality, the number of direct sales consultants in the USA alone is astounding. This instantly suggests that direct sellers need to set themselves apart from their competition in a compelling and effective way in order to be successful. As a 20-some-year-old mother in the millennial era (aka your target market), I am writing to share with you the four reasons why every driven direct sales consultant needs to incorporate a blog into her/his business. A record 20.5 million people were involved in direct selling in the United States in 2016, a 1.5% increase from the previous year. These people are affiliated with direct selling companies, and are eligible to purchase products at a discount, and resell them at a profit. I am a work at home mom, I get it. 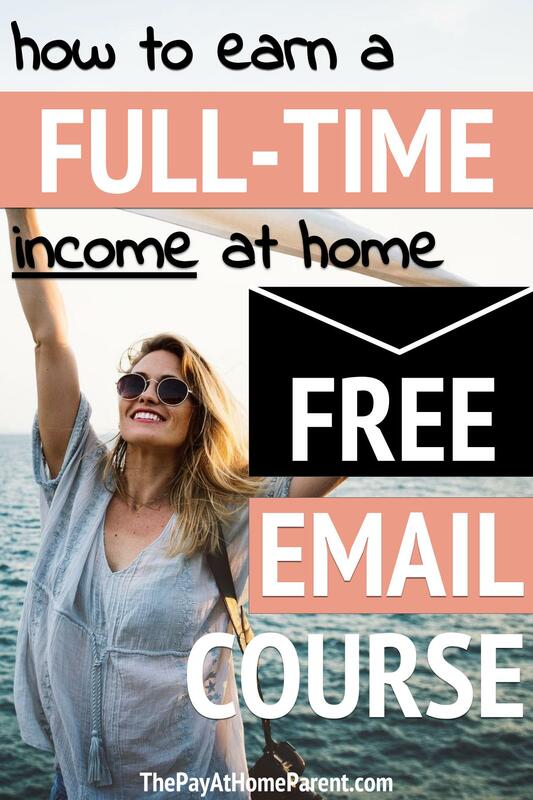 The allure of running your own business on your own time, being the boss of your life, creating life-changing experiences for others, it all sounds perfect! The legwork of networking can sometimes feel daunting, but knowing that you are in charge of your goals and how you want to achieve them is exactly what we all hope to accomplish. Filled with new vigor and purpose, you set out to make the world a better place with a product line you’re 100% passionate and knowledgeable about. This stuff has improved your life and now you want to share it with the world! The only problem? How will you reach not just your friends and family but outside of your small circle? Do you hunt them down, call them, email them, knock down their door about this incredible product? Do you post on your personal social media account constantly, or comment on friends’ social media platforms about how much they need _X_ to help improve their skin, health, self-image? If you have been in direct sales for any amount of time, you’ve likely struggled a little with how to get your product to your target market. Try as you might research, ask and/or be mentored from your direct sales team, your sales may not be seeing the same success as you think they should from the amount of effort you’re putting into your business. So what can you do? You love what you do and desire to sell your product, and in order to do that, you need to reach people. But reaching people effectively is the trick. How do you reach beyond your friends and family and get the word out to the world about your amazing product? I am not a direct sales representative, although I have dabbled in the idea once or twice in past years. I do have two years of debt collection and two years of phone sales under my belt, but does that make me qualified to give suggestions that work in this area? The answer is yes. Not because I have personally blogged as a direct sales representative, but rather I have been targeted by many friends, friends-of-friends and complete strangers asking me to buy their product, and I can easily see which tactics work and which tactics leave them spinning their wheels. My goal is to give you, a direct sales representative, an outside perspective of what would make me (and I firmly believe many others like me) buy from you. A blog with great SEO attracts organic (outside of your circle) traffic! So why do direct sellers need a blog? The best way to set you apart from all the other moms selling the same products is to start a mom blog. This is not a get-rich-quick plan, but rather a long-term goal of building a successful home-based business. That is why I am sharing four detailed reasons why starting a blog will extend your reach and increase your success in direct sales. 4) A blog with great SEO attracts organic (outside of your circle) traffic! I will break down each reason listed so that you understand exactly why you need a “mom” blog – and not just any blog – but a unique_name[dot]com blog (more on this later). Whether you’ve been on the giving or receiving end of a random message from a friend, firstly spouting sudden great interest in your life or family and “I miss you’s” from acquaintances, then finishing with, “I sell this amazing product that I think you should try.” Most can say these messages through social media or texts end up falling flat. To the recipient of your messages, this feels disingenuous and deceptive. Instead of building a rapport like you’d hoped, you may have offended or even turned off your potential client completely from you and your product. Instead of the above scenario, building a blog full of your life, your products and your experiences gives potential clients and other foot traffic a well-rounded perspective of who you are, what your product is, how it’s changed your life and in turn how it can change theirs. This helps create a personal image versus a solely corporate one. Now that your mind it turning about all the personal stories you could share on a blog, it’s important to slow down and remember that your blog cannot be just any blog. Many direct selling companies offer hosting on their corporate_name[dot]com blog. That is a genius strategy by the company that benefits them more than you. Instead of steering traffic to your own blog, you are bringing eyes to your parent company’s website. A first-time visitor might quickly get lost in transit by clicking to “next post” or moving to another website page, and what once was a solid lead turned to yet another sale for your competitor. With your own website, you can brand yourself and your content so that you can connect with your audience in a much more personal and relational way. Many women learn and grow in their independent sales businesses and decide to either change to a new company or do something completely separate from the original brand. If you have branded yourself, rather than the company, you are more likely to take much of your audience with you on your new journey. All around, it is better to have a unique domain name of your very own on a website/blog of your very own, rather than on your company’s website. When your blog doesn’t only push the sale but also presents your lifestyle, family and memorable experiences, it builds trust with your audience, and people are more likely to be attracted to your direct sales opportunity. As they get to know you through your blog, they develop the connection that lets you skip the “gimmicky” pitches and sell to them naturally. The will be asking you how to buy or how to get started selling on your team. Keep in mind if your blog is only about your product, visitors reading will be quickly overwhelmed by the earful full of “sales” and click the exit button, never to return. When you weave your own life and stories into the blog, it becomes more relatable and interesting. Your audience can learn why you are passionate about what you do, that you’re driven to make your life and others’ lives better, and that you’re genuine in all your endeavors. Generally, direct sales tactics are to prey on friends and family to grow your business (whether you feel this is fair to say or not, we all understand that you need to start somewhere). But in reality, you may only have a small handful of people within your immediate reach that are actually a fit for the items you sell, and that is okay! Wouldn’t you rather influence people who will love your product as much as you do than to sell out your family and friends for a little commission? The customer base is out there and the money is to be earned, but reaching them is attained only through stepping outside of your comfort zone and starting your blog. Having a blog makes you look like you know exactly what you’re doing and suggests that you’re an expert with your product line. You make your business look better when you have an active blog, which encourages readers to see the drive and the success of your business. A blog allows people the leisure of browsing product lines, seeing who you are, and seeing the product work in your real life. In this way, you not only show your expertise in your blog, you also allow your clients to peruse without pressure and see just how well you’re doing with your business. A blog allows the opportunity to flaunt your product or service in a much different way that would be acceptable on social media platforms. You can write pages and pages about your favorite items and give examples of when it helped you or made you feel amazing. When you score a valued customer, you can write knowledgeable blog posts that help them use the products they purchase and keep them coming back to you, the expert, when it’s time to buy more. Use your knowledge to craft the perfect “cheat sheet” for a relevant need of your target audience and create a killer opt-in to your mailing list! Building an email list is a sure way to maximize your reach and turn readers into clients. You can send out weekly newsletters to share your stories and knowledge of your product. It can take anywhere from one to 12 touches to convert a contact to a client, and by sending them engaging, valuable material, your average number of touches are likely to decrease. Probably one of the most important but least known reasons that direct sales consultants need a blog is the organic traffic that it attracts. A blog allows you to grow your sales because it can reach a larger community when using great SEO (search engine optimization) methods. Instead of having to “follow” or “friend” every person you know (or don’t know!) and feel fake in your personal interest in them, have them come to you through your genuine and insightful blog posts. Use SEO to your advantage and generate more visitors and clients than you ever could have imagined when using only social media posts. Your business can see amazing growth directly from your blog, with old friends and new visitors alike! You’ve already read all about why I insist that every successful independent sales consultant needs a blog. But did you know that many others feel the same way? I’ll let you speak “many” that I am referring to because this is a classic example of how we turn to Google to fix our ailments or solve a problem. “How to cure a headache naturally,” “How to cure a headache with oils” or “Which oil cures a headache”? Maybe you don’t suffer from headaches like many people do, but you’ve instead found yourself searching, “Cruelty free mascara for long lashes” or “How to get long lashes naturally.” These searches are prime examples of everyday questions that you turn to Google for the answer (and if you don’t you’re missing out!). What if you were able to answer these questions and in turn introduce new readers to your solution to “cure headaches” or “grow longer lashes”? They would come back to you to keep learning from you and potentially convert to a client because you convinced them you had the answers! Myra Yarborough is a Young Living Royal Crown Diamond, which if you didn’t already know is an elite list of the top sellers of Young Living Oils. “Myra launched a lifestyle blog, which led her to make many connections with like-minded women.” After publishing her first post sharing her personal experience with oils, the rest was history! She presented useful oil tutorials and uses alongside other natural living tips and created an income stream that led her and her husband Ernie to become one of the top Young Living sellers in the nation! Hopefully you can take away from all this that there is a sure proven way to increase your sales. Remember to establish a personal image, tell your target market why they should buy from you, prove to them that you are an expert in your product, and use your blog to attract new readers with SEO strategies. If you are convinced that you could benefit from starting your own blog and you’re ready to get started. You can review these six steps to starting a blog. These steps will get you started on the path to success and business growth. It is a path that cannot be trodden overnight, but one that will take time and dedication to achieve. I hope that you are able to take these tips and use them to grow your independent sales business. Every business is driven by sales in one way or another, and we can all learn to support one another in our journeys. If you have learned something today, will you let me know in the comments? I would also love to hear what business you have grown!